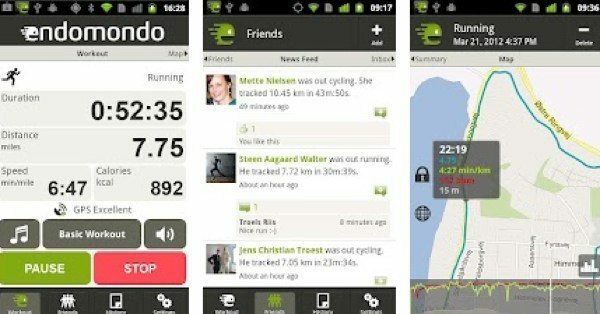 Every now and then we like to round up a few apps on a certain theme for our readers and today we’re focusing on running apps to get you fit for 2012. We may be almost half the way through 2012 but that doesn’t mean to say that it’s too late in the year to get fit or keep fit. If those New Year Resolutions passed you by then or you simply want to get the most out of running, read on. If you want to have the optimum running experience then check out our selection of running apps for both iOS and Android platforms. To see more on any of the apps or to download them simply click on the titles and you’ll be taken straight to Google Play or the App Store so you can see we’ve made this as easy as possible for you. First we’ll give you three iOS apps for running. We’ll kick off with iSmoothRun. This app is priced at $4.99 and is compatible with iPhone 3, iPhone 3GS, iPhone 4, iPhone 4S, iPad Wi-Fi + 3g, iPad 2 Wi-Fi + 3G and iPad Wi-Fi + 4G running iOS 4.3 or later. This app is good for tracking and logging your running or other fitness activities such as hiking and cycling. Many serious runners use this app and have made it the most popular third-party activity tracker app on the RunKeeper site. You can create a workout and the app will coach you with audio cues. iSmooth Run also tracks time, distance, location, pace, altitude, heart rate and more and gives you audio announcements at intervals that you can set yourself. There are a multitude of other features so check it out at the link above for all the details. 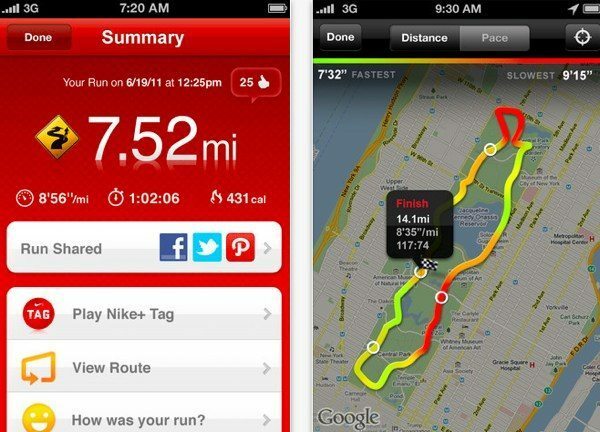 The next app we want to tell you about is Nike+ GPS. This one is priced at $1.99 and compatible for iPhone, iPod touch or iPad running iOS 4.0 or later. 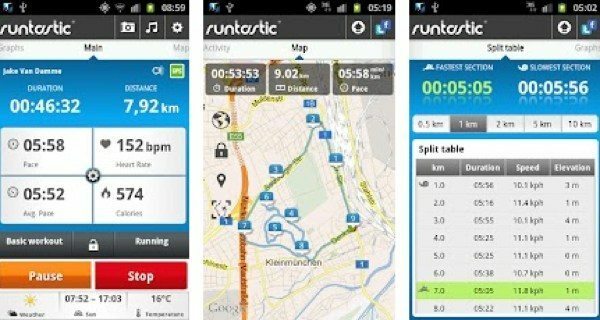 This app will help you map your runs, track your progress and also help with motivation. When friends comment on your run status or you outrun them in Nike+ Tag you’ll get to hear mid-run cheers. It uses GPS and accelerometer technology to record your progress over time and help motivate you even further. When you achieve one of your best runs you may also receive a fun and motivational message from a top Nike athlete. With personalized PowerSongs, the ability to share your accomplishments via Twitter and Facebook, record keeping and much more, this is another really good running app. 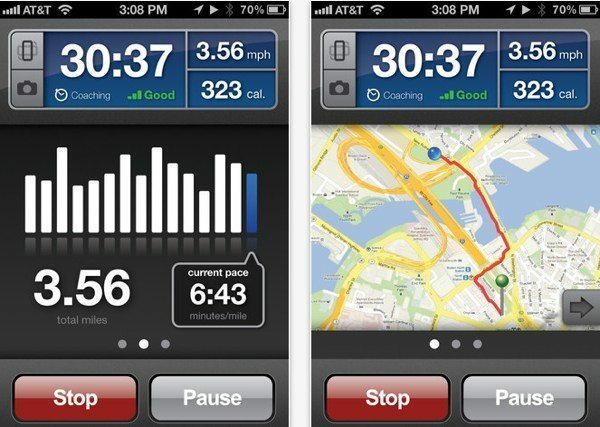 Our final iOS app is RunKeeper and this one is a free app for use with iPhone, iPod touch and iPad running iOS 4.0 or later. This app also uses GPS to track activity and according to the app description it gives comparable results to that of a GPS watch. Work out the path you took, the calories burned, your pace, how long you ran for and how far with a user-friendly interface. A clever touch here is that after activity the data is then synced to the RunKeeper website where a history is kept along with cumulative data. A few of the main features include a personal dashboard, maps integration, activity tracking and sharing, music, audio cues, target pace, interval workouts, split times and more. Now on to some Android running apps and we’ll start with MapMyRUN GPS Running, a free app for devices using Android 2.1 or later. This includes the usual tracking, pace, distance, route and more using GPS as well as syncing data with the MapMyRUN website. A Heart Rate strap available as an extra can also be connected via Bluetooth 4.0 LE if your phone supports it and the app description names the Droid Razr as an example of this. Our penultimate app is Endomondo Sports Tracker. This is a free app and compatibility requirements vary by device. 8.6 million people already use this popular app, which is also the highest rated Android app of its type. This is good for any distance-related activity and comes with a huge variety of features. Just a few of them include the ability to sync workouts across different platforms, audio feedback, motivational live peptalks from friends, allowing you to set goals, racing against a friend’s times, keeping workout music playlist logs, enabling a countdown and more. On to the very last app in our selection and it’s runtastic PRO. This one is priced at $5.99 and is suitable for devices running Android 2.1 or later. Again this is a comprehensive app with PRO features including audio feedback, live tracking, cheering, setting calorie goals, geotagging, weather info and predictions of sunrise and sunset. This one also has graphs, dashboard configuration, personal workout diary and metrics, and manual entry of workouts and also enables you to save your workout information to the runtastic website. So there you go, six running apps that all have a lot to offer whether you’re getting into the running habit or are already a serious runner. Will you be downloading any of these apps to use? Maybe you know of other running apps that you could recommend to our readers? Please do so by using the comments box. Good, useful page. I got endomondo for android, like it a lot, thanks for the reviews! They missed out sports tracker. Back when android didn’t even exist and there was no ios sports tracker had already made the perfect app for symbian .. With so many years of experience behind them.. They ported it to android … Somehow the reviewer missed this important app out.